Spider Software Pvt Ltd Company Career Jobs Opening 2018-2019 Various Associate/Senior Associate Posts Download Application at www.spidersoftwareindia.com. Spider Software Pvt Ltd Career Job has Recently Announced 2018 regarding Associate/Senior Associate & Various Job Openings Interested and Eligible Candidates can Download Application Through Official website. 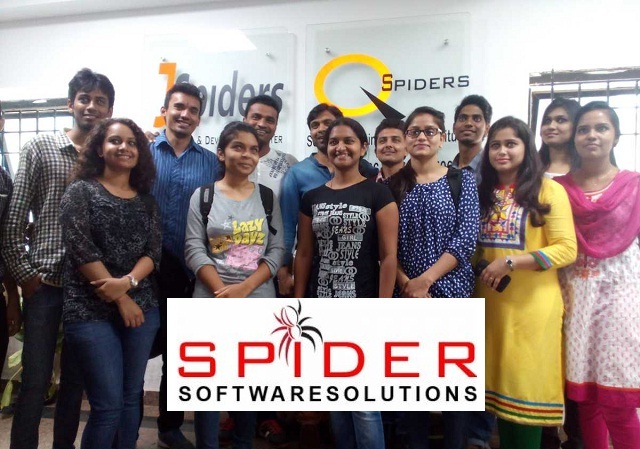 Spider Software Walk-in Drive || Any Graduate, Associate/Senior Associate - Apply Now. Salary: Rs: 50,000 - 2,00,000 P.A. Spider Software Pvt Ltd provides the best Live and End of Day Technical Analysis Software for the Indian Markets. The software’s are decision making terminals which helps traders and investors take the right trading decisions. The company is a licensed vendor of NSE, BSE and MCX Real-Time Price Feed. It uses internet based client server model for distribution of real-time data feed. 1. Research and identify solutions to stock market issues. 2. Diagnose and troubleshoot Technical Analysis Queries. 3. Ask Clients targeted questions to quickly understand the root of the problem. 4. Track computer system issues through to resolution, within agreed time limits. 5. Talk with clients through a series of actions, either via phone, email, chat or face to face until they solve the queries. 6. Properly escalate unresolved queries to appropriate internal teams. 7. Provide prompt and accurate feedback to clients. 8. Refer to internal database or external resources to provide accurate solutions. 9. Ensure all issues are properly solved. 10. Prioritize and manage several open issues at one time. 11. Responsible for giving training (via phone, email, chat or face to face). 12. Prepare accurate and timely reports. 13. Document technical knowledge in the form of notes and manuals. 14. Maintain jovial relationships with clients. 1. Candidate should be graduate (Compulsory) or Post Graduate (Optional). 2. Experience required is : 0 to 5 years. 3. Age Criteria : 21 years to 30 years. 4. Only Male candidates required. 5. Candidates should have basic stock market knowledge. 6. Required qualities are energetic, self-motivated, problem solver who is detail oriented and can work with minimal supervision. Landmark - Above Axis Bank (2 minutes walking from station).